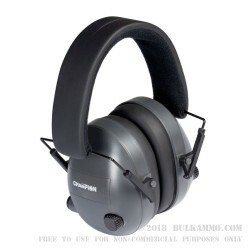 Protecting your hearing while enjoying shooting sports is vital and Champion's earmuffs enable you to do just that comfortably. The advantage of electronic earmuffs is that you can carry on a normal conversation without taking off your earmuffs in between shots. 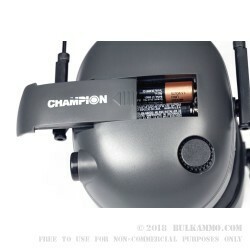 Champion's electronic hearing protection is designed to dampen loud noises while amplifying quiet noises. 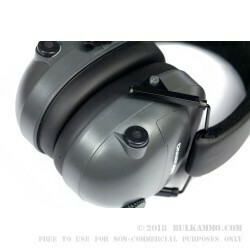 They have a 25dB Noise Reduction Rating, which provides excellent hearing protection against loud gunfire and other harmful sounds. 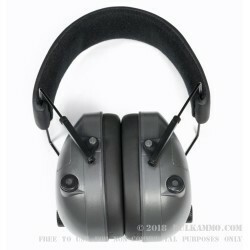 These muffs are lightweight, stylish, and remain comfortable for long periods of shooting so that your passion doesn't damage your precious hearing. 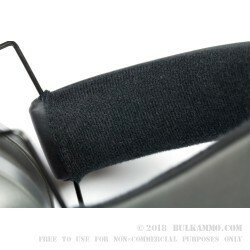 The volume for each ear is controlled individually, so you can adjust the sound level to fit your environment. They’re powered by four AAA batteries, with an easily accessed compartment on each side. 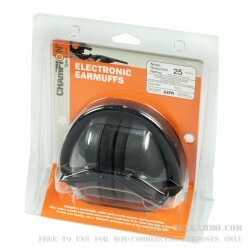 Padding for the ears is moisture resistant and won't be damaged by sweat.